Situated on a tree-lined street, this picturesque Tudor features a spacious open concept, perfect for entertaining. Enjoy a living room w/wood-burning fireplace or watch the seasons change in the light & bright 4-season sunroom. A chefs kitchen features granite, NEW SS appliances & walks out to back patio. 1st floor also boasts formal dining, a cozy Nook, mudroom, office & half bath. Upstairs enjoy a master suite w hardwoods, an enormous, remodeled en-suite bath, 2 additional BRs w/hardwoods & remodeled hall bath. Ward Parkway, East on Gregory, North of 75th St. & South of 63rd St.
Kansas City is located in Missouri. Kansas City, Missouri 64114 has a population of 475,378. The median household income in Kansas City, Missouri 64114 is $45,376. The median household income for the surrounding county is $46,917 compared to the national median of $53,482. The median age of people living in Kansas City 64114 is 35 years. This content last refreshed on 4/21/2019 11:09 AM. Some properties which appear for sale on this web site may subsequently have sold or may no longer be available. 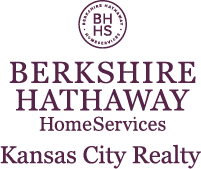 I am interested in 1014 W Gregory Street, Kansas City, MO 64114.